Figure skating is my favorite sport to watch during the Winter Olympics. I am dazzled by the artistry and strength skaters display. Part of me wishes I could do that, too. Who am I kidding—haven’t we all wanted to be Michelle Kwan or Katarina Witt at one time or another? But, alas, I have weak ankles. And I am not courageous on slick surfaces. 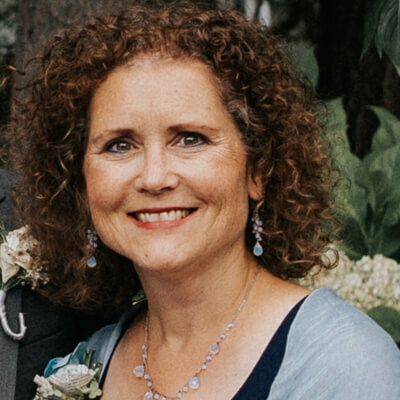 So when my mother-in-law, Joan, took our five-year-old son, Taylor, ice skating at an outdoor rink, I went along, but not because I was looking forward to a good time. Taylor is holding my hand in this picture, as I hold Mimi’s! Jay stood nearby, holding two-and-a-half-year-old Zachary and watching while we laced up our boots and teetered toward the town rink in Winthrop, our favorite vacation spot in the Methow Valley of Eastern Washington. Taylor held tightly to his Mimi’s hand. Did he know instinctively that she was the better bet when it came to keeping him upright—that he would have to hold me up if he took my hand? 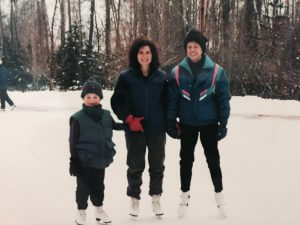 The duo stepped onto the rink, and Mimi began teaching her coordinated grandson to swish back and forth as they moved along the edge of the ice. I stayed planted, holding onto the railing and trying to look nonchalant. Skaters on the crowded rink moved with varying levels of expertise. Several in particular were as agile and well-balanced on blades as anyone on two feet. Before I knew it, one skater was standing in front of me—a boy about 17 years old—holding out his gloved hands and silently inviting me to join him on the ice. I hesitated. Did this kid think he knew me? Was he safe? He had a rather odd look about his face and he smelled strongly of body odor. But he was definitely in command on the ice and knew how to skate with style. I offered my hands and, without any effort of my own, found myself flying around on that glorious rink at top speed. I bubbled over with laughter. He skated backwards as we faced each other, just as an expert does with a young child. It felt awkward but was so much fun I didn’t care. I don’t remember what he said, but I know he talked a bit and his manner of speaking was stilted. He pointed out his two brothers, also skating with finesse. He kept his face turned to the side, occasionally catching my eye, but for the most part looking away as he easily maneuvered us amongst the crowd. I wondered if he was affected by some sort of developmental or social impairment, and decided there was something neurologically different about him. My mind was in overdrive, trying to make sense of this encounter. Why was this young man skating with a complete stranger? What was his motivation? Then it dawned on me that he looked like many of the photos I’d seen in my online research about fragile X syndrome. Could this fellow and his brothers, all with long thin faces and large ears, have the same condition our toddler Zachary had just been diagnosed with? Mimi and Taylor were still working on his skills. I stood, holding onto the railing again, and watched them. It wasn’t long before my teacher came back for another go-round. This time I closed my eyes occasionally as we whizzed around the rink. In my mind, I was an Olympic contender, gliding with grace and speed under the dazzling lights. I felt strong and capable at something I had never been able to do; but in reality, that was only because I was holding tightly to someone strong and capable enough for both of us. 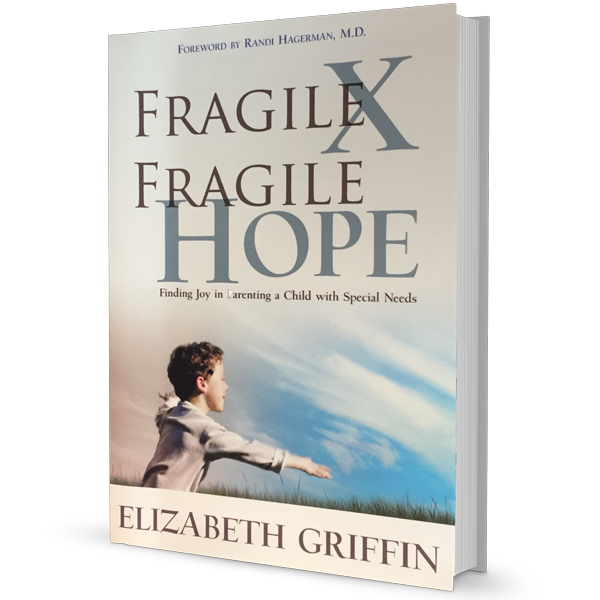 As I became more and more convinced that my guide had fragile X syndrome I wondered, Is this an angel sent by God to give me hope? Is this ice-skating boy a gift meant to take away the fear and grief that is sucking the life out of me? Is God, the master of metaphor, giving me one that I could hold onto for years to come? My little boy with special needs was already a handful. I had so many questions about who he would grow up to be—and what he would be able to do. My skating partner represented all that I was afraid of in grown-up form. And he wasn’t scary at all. If I had said no when the skating boy held out his hands that day, I would have missed out on something I’d always wanted to do. But I took the risk and let his strength give me the thrill of a lifetime. Could it be that holding hands with fragile X would take me places in life I never could have gone without it? Was my son’s syndrome really a gift that would set me free in ways I never could have imagined if I embraced it—even though the news of his condition had hurt me so deeply? Eighteen years later, I can honestly say it’s been the ride of a lifetime. Of course — please share.